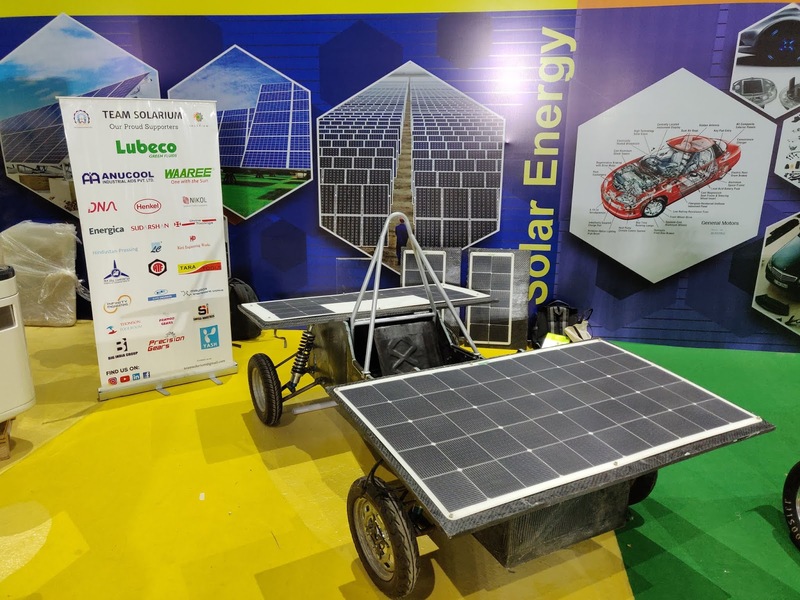 Team Solarium is a group of undergraduate engineering students from the Pimpri Chinchwad College of Engineering, Pune, annually designs and manufactures a Solar Electric Vehicle. Team Solarium, believes in the future of renewable energy and electric vehicles. By participating in different design competitions, they hone their skills and increase their knowledge while getting the opportunity to showcase to the world the potential that lies in Solar Energy. The team actively promotes clean energy awareness and education, essential pursuits in striving towards a cleaner future. Every year the team designs and manufactures a solar electric vehicle to participate in design & project management competitions. These competitions have a huge industry following, and people from the Motorsport and automobile industry also take note of these events. Team Solarium is delighted to inform that FRP institute had invited their team to be a part of International Conference and Exhibition on Reinforced Plastics 2019 (ICERP). The aim of ICERP is to bring people involved in composite industry under one platform and to highlight opportunities available in the Indian market. It was an excellent opportunity for the students to gain exposure in the composite industry and receive constructive feedback about their work from the Indian Composite Industry. • Carbon fiber monocoque chassis. • 80 km range on complete charge. • Maximum speed of 65 km/hr on battery and 25 km/hr on solar energy. 1. Win the Electric Solar Vehicle Championship 2019. 1. Represent India in the Bridgestone World Solar Challenge. 2. Create a commercially viable solar vehicle that is accessible to the general population. 3. Win the Bridgestone World Solar Challenge and bring home the World Solar Cup. All the best for ESVC 2019!! !